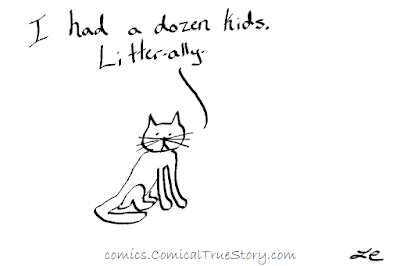 Because they have their kids (kittens) in litters! Do they take their kids litterally? 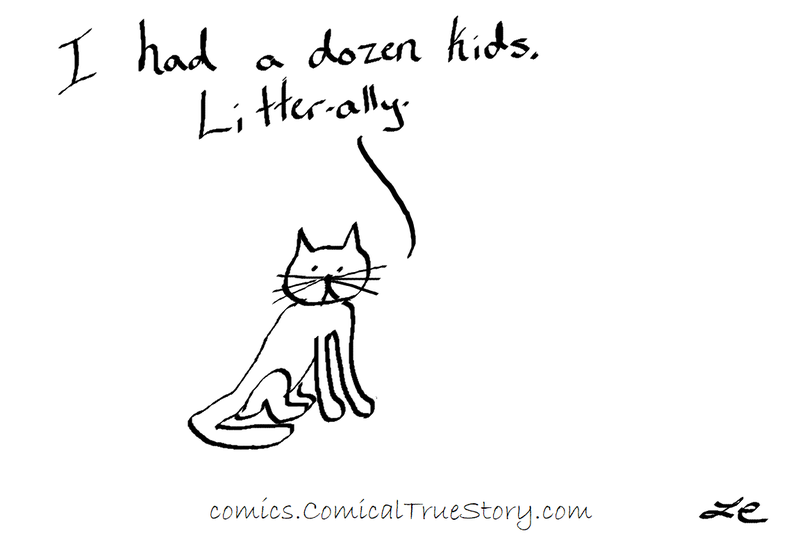 Can I make litterally any more puns? Well, wait for Thursday :) Can we make litterally a word that means by the batch, so like I litterally made cookies yesterday or my dog just litterally had her puppies? I think that'd be a much cooler word than whatever the current slang terms are.